Here are 13 suggestions — really, what number could possibly be more appropriate? — that will bring some enchantment to your life this month. 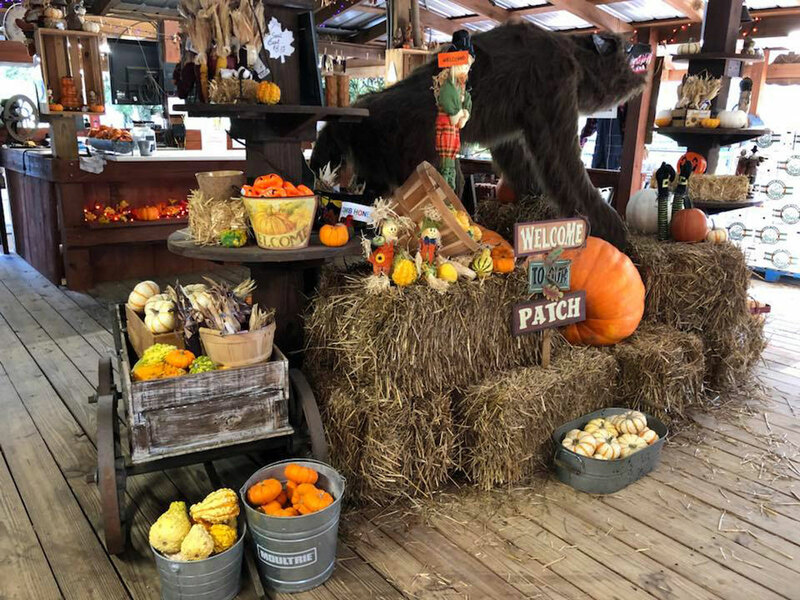 From pumpkin picking to watching classic scary movies on the big screen to braving a moonlight cemetery tour, there are plenty of options around Central Florida for those looking to take part in some fall (and sometimes spooky) fun. Let’s state the obvious from the get-go: No respectable list would be complete without local staples such as Universal Studio’s Halloween Horror Nights and Walt Disney World’s Mickey’s Not-So-Scary Halloween Party. 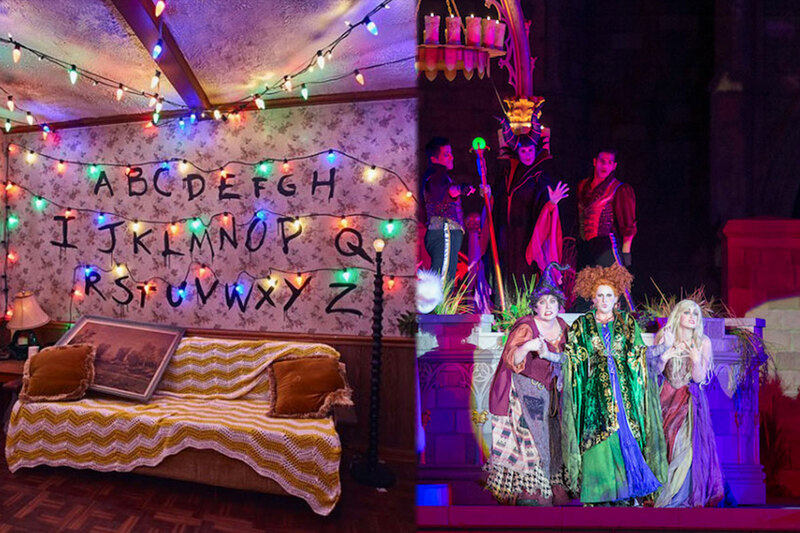 HHN is celebrating its 28th year with 10 haunted houses — including an homage to Netflix’s popular Stranger Things — and five scare zones. As the name implies, Mickey’s Not-So-Scary Halloween Party is more family friendly with parades, dance parties (with beloved witches Winnie, Mary and Sarah Sanderson from Hocus Pocus), fireworks and even trick-or-treating throughout the park. 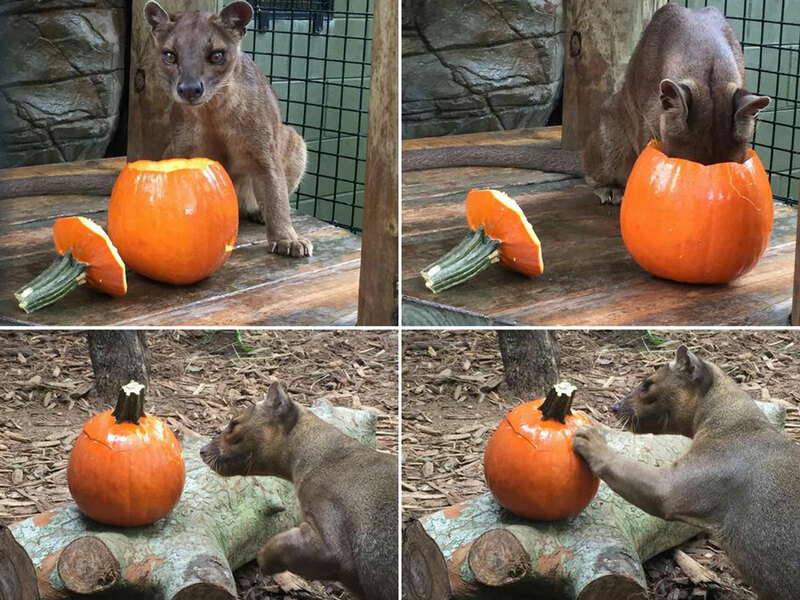 Some of the other theme parks, like Sea World and Legoland, have joined in the holiday spirit by hosting daytime Halloween-inspired festivities during weekends in October. What to do: The closer you get to Halloween, the more crowds you’re going to face. If you can handle a little sleep deprivation the next day, pick a week night to visit Universal or Disney and arrive early. You can also save some cash by purchasing your tickets ahead of time online. While all of these parks have their merits, the headline-grabber of the bunch is the Stranger Things house at Halloween Horror Nights. It’s proving to be wildly popular, so expect lines to be steady throughout the evening. Our suggestion — save Eleven and the Demogorgon for the end of your night. Go inside the park as soon as it opens and go visit some of the other houses first while lines are short. And don’t forget about the park’s standard attractions, including The Wizarding World of Harry Potter’s Diagon Alley. You’ll typically experience drastically reduced wait times — even without fast passes — compared to your typical theme park day. Year in and year out, Maitland’s Enzian Theater is voted the Best Movie Theater in Orlando by Orlando Weekly and for good reason. This charming, single-screen cinema café, home to the Florida Film Festival, offers showings of independent, foreign and classic films. What to do: There’s only one screen, so arrive a little early to snag your ticket ($9 with a student ID; $11 regular admission). 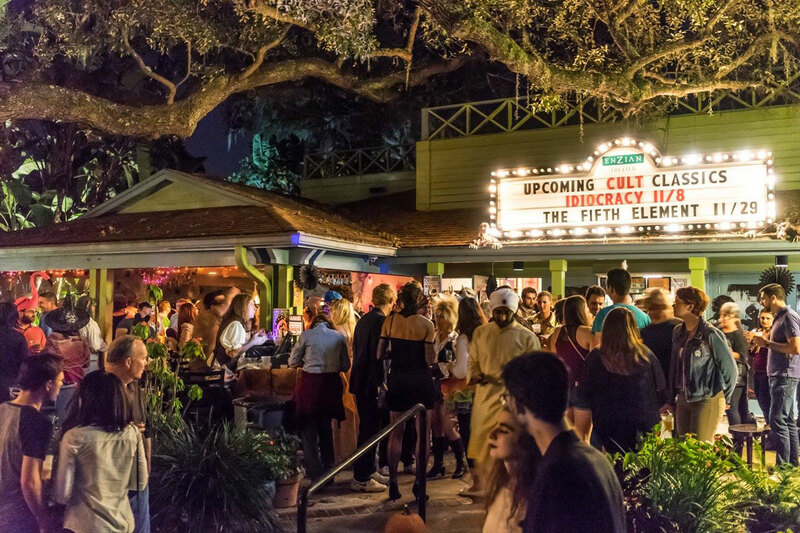 You can kill time waiting for the show by indulging in food and drink specials at the Eden Bar, which offers outdoor, covered seating surrounded by towering 400-year-old oak trees. There are classic scary films playing through October. If you really want to go big on your night out, consider dressing up in costume for the Eden Bar’s annual Halloween party (if you’re 21 and older) on Oct. 27. Prizes are given to best couple, most original and the scariest costume. The party starts at 9 p.m. followed by a midnight showing of The Hills Have Eyes (1977). You can call the homes on this street a little extra, but we love them for it. Jeater Bend in Celebration, Florida, puts on quite a show around the Halloween and Christmas seasons. 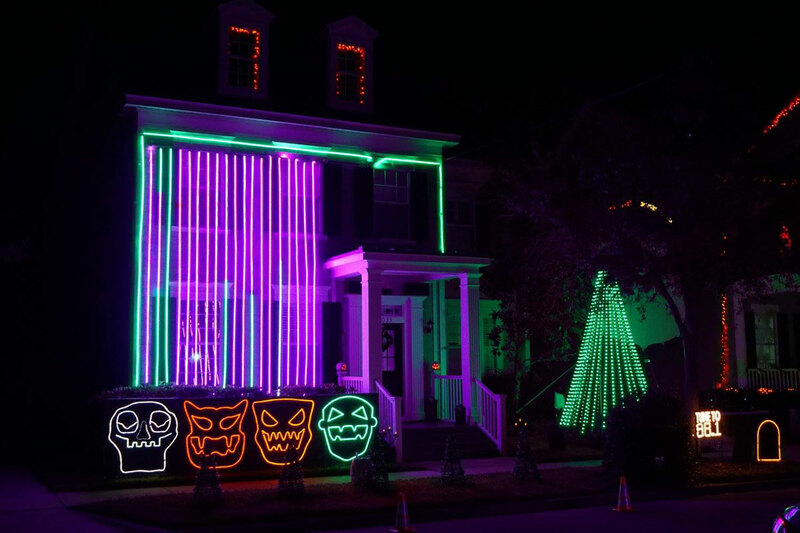 A dozen houses go all out with lights that are synchronized to music, projection water and fire. Best of all — it’s free! What to do: Park the car at the end of the street (or ride share) and check out this flashy spectacle on foot. If you must drive, tune your car radio to FM radio station 88.1 for the full effect. Visit 7:30 to 9:30 p.m. daily during Oct. 13–31. If you’re afraid of the dark, you might want to skip this one. 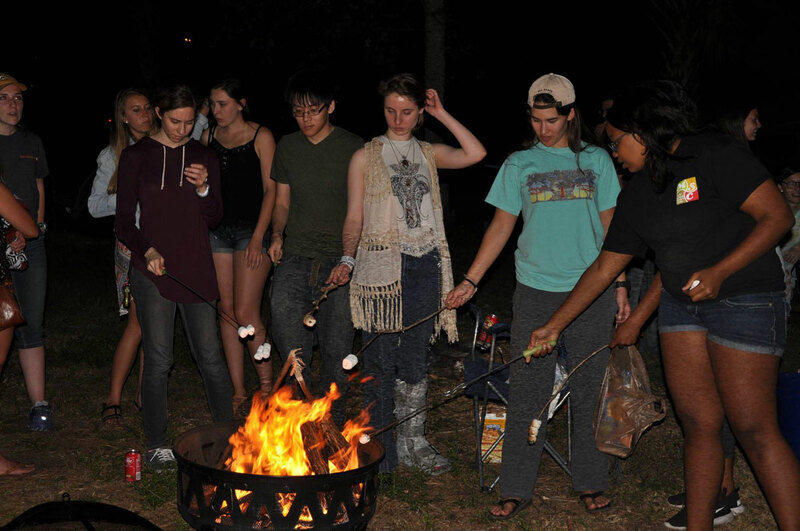 The UCF Arboretum’s Halloween Spooktacular will have all the fixings of a good, old-fashioned camp out, complete with s’mores. Held Oct. 19–20, campers are encouraged to come dressed in costume (Lazy Moon, Chipotle and Chick-fil-A gift cards are up for grabs to the best dressed) and scary movie Cabin in the Woods will be shown at 9:30 p.m.
What to do: Those wishing to camp must pre-register by emailing the number of tents, number of people per tent and emergency contact information to arboretum@ucf.edu. Registration is open now through Oct. 17. If you do not own a tent, UCF Outdoor Adventures will be renting tents for a fee, but you need to contact the group before the event. Full details about the event are listed on the UCF Arboretum Facebook page. Nothing says fall like putting on some flannel (or a flannel-patterend tank top) and enjoying hayrides, picking out a pumpkin and taking down some delicious food with your friends and/or family. Price: Free admission, but most activities require tickets that can be purchased on site. Times: 11 a.m. – 8 p.m.
*If you really want a unique experience, this is the one for you. Launching pumpkins and tennis balls from an air cannon is actually a thing to do at Club Lake Plantation. Really. Oktoberfest’s origin is traced back to Munich, Germany, in 1810 when Crown Prince Ludwig, later to become King Ludwig I, was married to Princess Therese of Saxony-Hildburghausen. The citizens of Munich were invited to attend the festivities, which included horse races in the presence of the royal family, and were held on the fields in front of the city gates to celebrate. The decision to repeat the festivities the following year in 1811 gave rise to the tradition of Oktoberfest, which has been going strong ever since. If you want a taste of the real thing without having to book a plane ticket to Munich, mark Oct. 12–14 on your calendar. 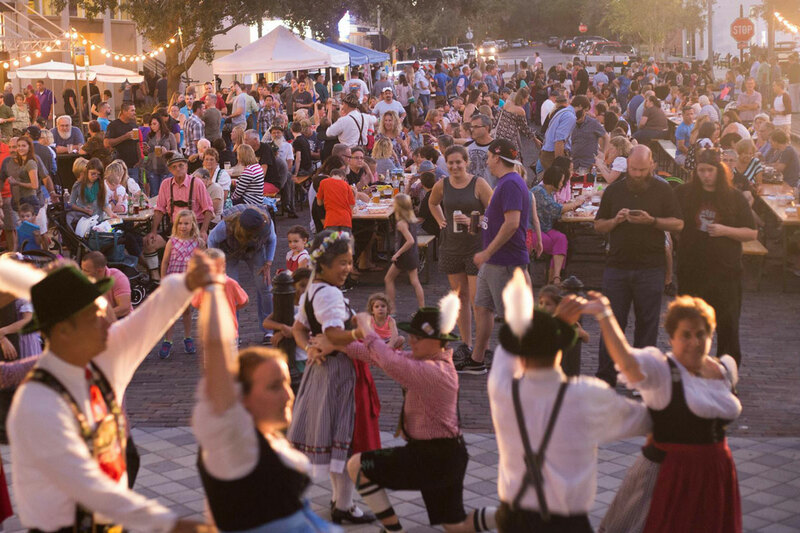 That’s when Hollerbach’s Willow Tree Café hosts a street party in downtown Sanford complete with authentic German food, imported German beer, polka music, lederhosen, dancing and more. Admission is free, but you will need to purchase “Hollerbucks” tickets, which substitute for money during the festival with food, beverage and merchandise vendors. This is a safe, fun, and not-too-scary event for creatures of all ages. 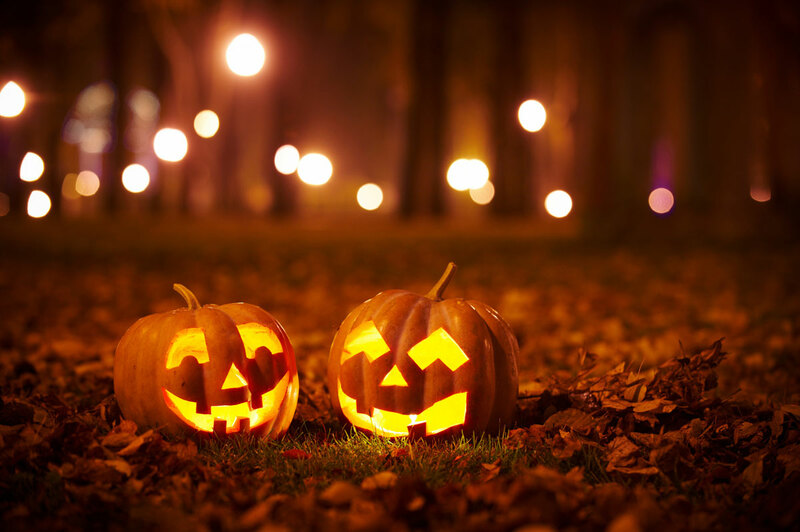 Craft projects, a bounce house and pumpkin bowling are all included, and you can even encounter some animals while trick-or-treating. What to do: Children 12 and under are encouraged to dress up and enter the costume contest. Judging starts at 1 p.m. Yes, you’ll need to wake up early on Sunday, Oct. 14, for this inaugural run/walk in Lake Baldwin Park, but logging 2.5 miles is a little more fun when candy stops are included along the way. 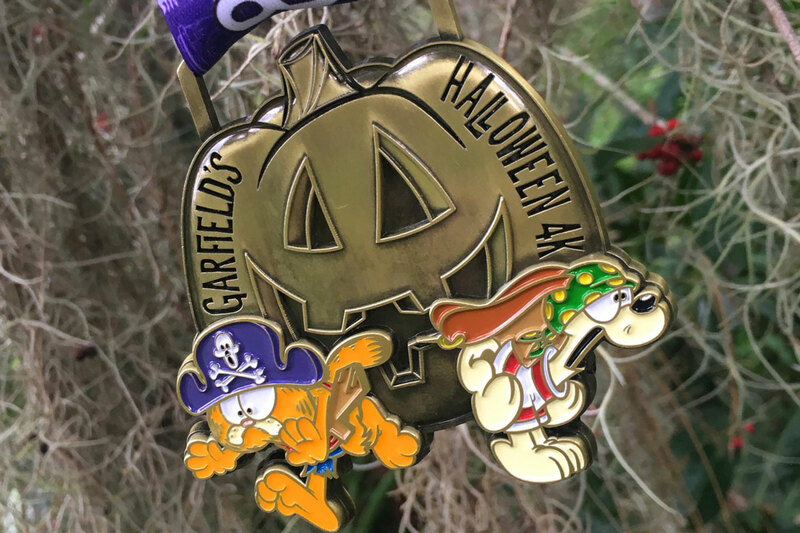 Plus, you can enjoy a post-race party, costume contest, finisher medal (pictured above) and commemorative T-shirt all for participating. What to do: Sign up before race day through Track Shack’s website and save yourself a few dollars. Ultimately, just have fun and get some steps in. It’s as simple as that. The Dr. Phillips Center in downtown Orlando is welcoming Jack and Sally back to the big screen as Danny Elfman’s score from director Tim Burton’s 1993 cult classic will be performed live by the Orlando Philharmonic Orchestra. What to do: Tickets went on sale in March but there are still some available on the DPC website. Get your tickets soon and don’t stress about not having your pick of the theater. There really isn’t a bad seat in the house. 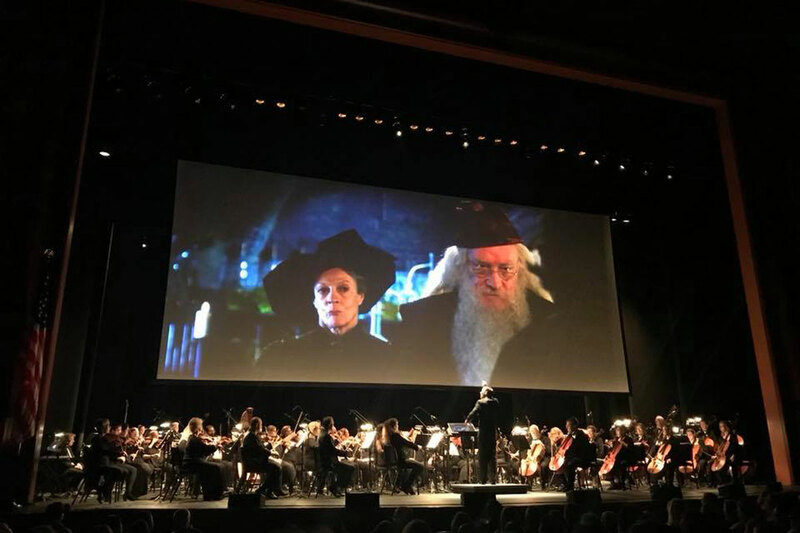 Make the night feel extra special by dressing up, finding a good dinner spot in downtown Orlando and soaking up the experience of seeing the orchestra live. 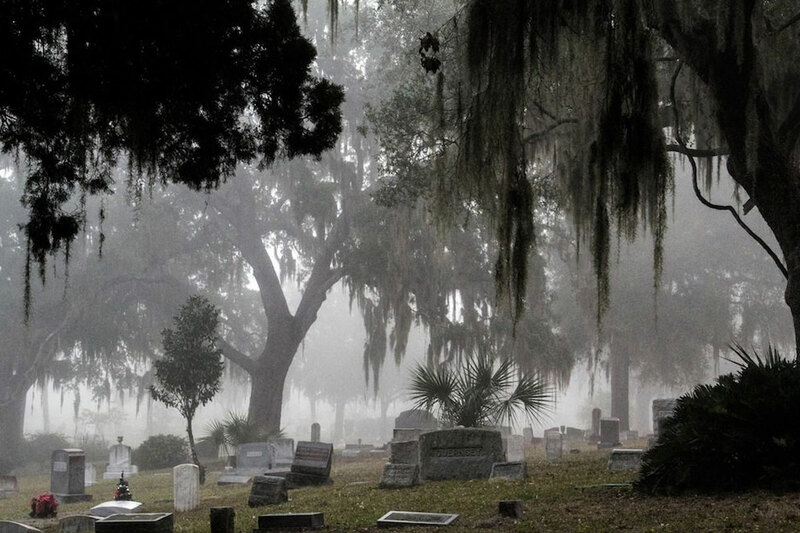 Just in time for Halloween, the Greenwood Cemetery in Orlando will offer its historic moonlight walk on Oct. 26. The tour, which is given once a month, is approximately 4 miles within the 100-acre cemetery, and you’ll visit about 100 graves of notable individuals in Orlando’s history. Our advice: These free tours are reserved quickly. Registration opens 9 a.m. Oct. 12 through the City of Orlando website. Don’t be late. 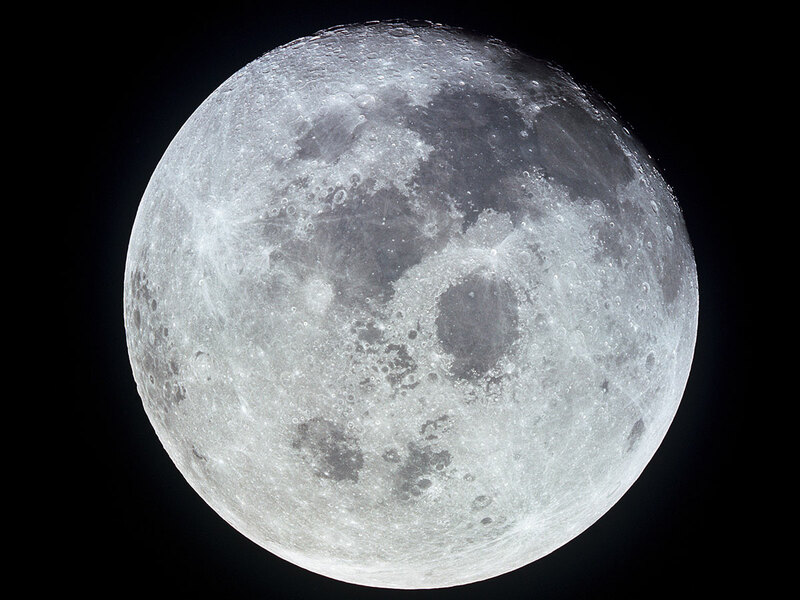 While you won’t run into any werewolves at UCF’s International Observe the Moon Night at UCF on Oct. 20, you will be able to view a nearly full moon in all its glory. UCF will have telescopes set up for people to look through as well as other moon- and space-related activities. UCF students, staff, faculty and the community at large are all welcome to participate in this free event on campus. What to do: This event will be at the Reflecting Pond by Millican Hall, not the campus Robinson Observatory. If there is rainy weather, the event could be canceled so follow Robinson Observatory’s Facebook account for updates. The Orange County Library System has a slew of events planned for all ages during October, ranging from monster makeup tutorials to help with costume sewing to spooky story time. 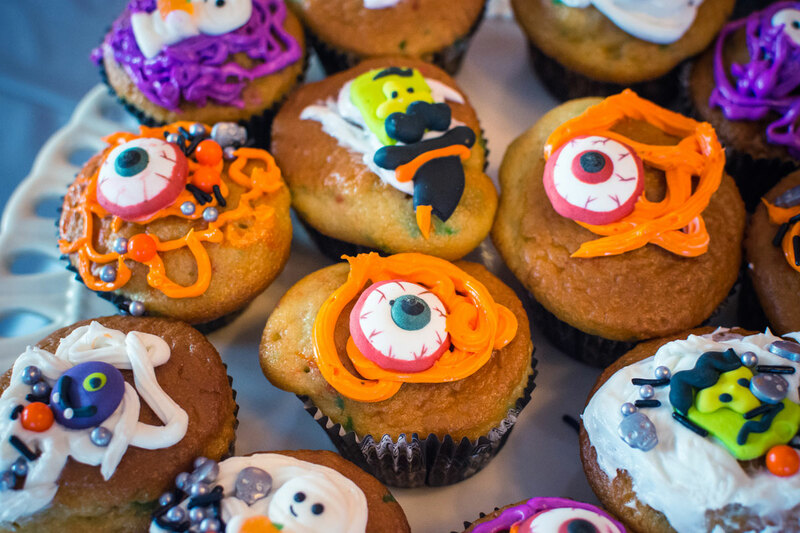 In particular, on Oct. 17, the downtown Orlando library staff will demonstrate how to make Halloween-inspired desserts at their event Cuisine Corner: Ghoulish Delights. What to do: Space is limited, and only guests who have registered for the event will be allowed to participate when the event is full. Note: Cuisine Corner is not recommended for children under 12. Arrive on time. Admittance will not be allowed after the event begins. Maybe it’s wishful thinking, but October is usually the time when Florida’s weather starts breaking from relentless heat, which means it’s a great time to enjoy a day outside. 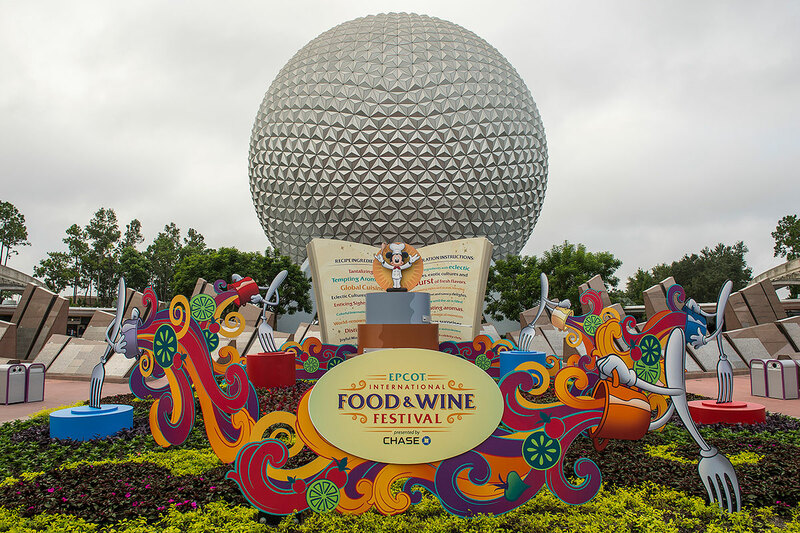 Cue: tasting your way through Epcot’s International Food and Wine Festival. What to do: Read up on this class spotlight with Rosen College of Hospitality Management professor Robin Back, who teaches Exploring Wines Around the World. You’d be wise to listen to his tips — he used to instruct classes at the festival. If you are a UCF student, faculty or staff, buy your park ticket ahead of time through SGA’s ticket center. The money you save on the $70 discounted ticket can be applied to tasting the food and beverages in the park. Need a costume for any of the events we mentioned? Theatre UCF’s semi-annual sale is the perfect time to find the pieces you need to create a unique and inexpensive costume. Most items are priced below $10. Plus, all proceeds benefit future Theatre UCF productions. The sale will be held 9 a.m. – 5 p.m. on Oct. 19. Cash is preferred, checks are accepted, but no credit cards.